How to set a good example for your teen driver – Drive Team Inc. When it comes to learning how to drive, your teen is probably anxious and excited. They can’t wait to get behind the wheel. You on the other hand, are not quite as thrilled! Learning how to drive has changed drastically since the time you first got your license. The technology in our vehicles has advanced, and there are many more distractions. Plus, you’ve heard the stats – according to the CDC, car crashes are the number one killer of young people and result in around 3,000 deaths every year. As a parent, you have good reason to be concerned. But there are also important steps you can take to ensure your teen is prepared. Picking a reputable teen driving school is perhaps the most important. You’ll also want to take an active role in their training, and set very clear guidelines for driving with a parent-teen driving contract. One step that is often overlooked is simply setting a good example. Remember that actions speak louder than words! So follow these tips and lead by example. There’s no doubt that you’ll stress the importance of wearing a seat belt and following the speed limit. Make sure you do the same. If your teen witnesses you “cheating,” they’ll think is it’s OK to do the same. Make sure you adopt a basic, but important routine each time you get in the car – check and adjust your mirrors, check your seat position and eliminate potential distractions. This might be the most important! 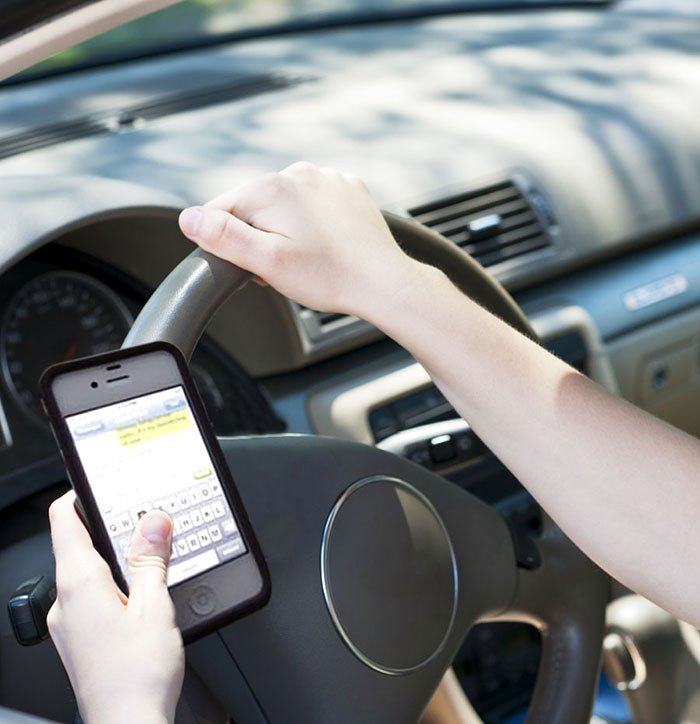 If you expect your teen to stay off their phone while driving, you must do the same. Make a point to put your phone in airplane mode or put it in the glove compartment so you’re not tempted to look at it. If your teen sees you glancing at your phone (even at a red light) then they’ll think it’s OK to do that as well. Driving can be stressful. There are far too many drivers who don’t pay attention to what’s going on around them. It can be tempting to vent your anger by honking, yelling or giving someone the middle finger. But will that really solve anything? Realistically it won’t. Take a deep breath and move on with your day, and show your teen how to stay calm. A well-maintained vehicle is a safe vehicle. Make sure your teen has a basic understand of the care and maintenance involved. This will help them understand the costs involved with owning a car so they can be prepared. #5 – Schedule your practice time – and stick to it! Getting a driver’s license is a lot of responsibility, and it’s important for your teen to realize this. Put an emphasis on training. It’s important to get plenty of practice time behind the wheel. Set a schedule and stick to it. Have more questions about teen driving? Leave a question below or contact us directly by clicking here.